Because a healthy body starts with a healthy mouth. 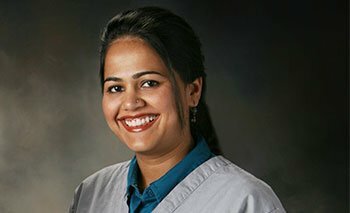 Dr. Supriya Shetty is a leader in the field of biological dentistry, combining a health-centered approach with state-of-the-art technologies. Are you searching for a natural dentist? 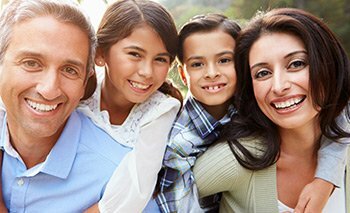 We offer a full array of holistic dental services for your entire family. We will take the time to listen to you and work closely with you and your healthcare provider. We provide safe mercury removal and mercury-free dentistry in accordance with IAOMT guidelines. At our office, you can expect to be treated with respect at all times. We are holistically-minded, natural dentists who understand the mouth-body connection. Natural dentist, Dr. Supriya Shetty, is a leader in Biological dentistry. 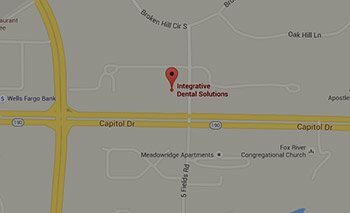 Integrative Dental Solutions has convenient locations in both Pewaukee, WI and Glendale, WI. We are a holistically minded team of dental practitioners providing high quality natural, biological and cosmetic restorative dentistry. Our mission is to restore and maintain the natural health, function and beauty of our patients' mouths. We do so using the most advanced techniques, technologies and biocompatible materials known to dentistry in an environment that is relaxing, caring and safe. Most importantly, we strive to teach our patients how to maintain their health. If you are like most patients seeking alternative care, you have fought your share of battles with conventional healthcare practitioners. Rest assured, you have come to the right place! At Integrative Dental Solutions, Dr. Shetty understands the mouth-body relationship and believe that oral health is fundamentally connected to overall health and well-being. Our philosophy is that every patient is different and needs to be treated according to their specific needs. From the patient who wants to merely remove the mercury, to the patient concerned about the influence of dental materials on bio-energetic meridians, to the patient seeking metal-free restorations using the latest technologies, to the patient that desires special mercury-removal protocols and detoxification – our goal is to provide each patient with the care that is right for them. With offices in Pewaukee and Milwaukee, we serve patients from across the Midwest including Milwaukee, Brookfield, Delafield, Mequon, Madison, Racine, Chicago, Iowa, Minneapolis, Green Bay and the entire Chicago/Milwaukee Metro area. If you would like to take the first step in reclaiming your oral and physical health with us, contact us today. Gets to the root of your health? We are committed to treating the cause of the problem and not just the symptoms. We specialize in metal free alternatives to mercury and silver fillings, and provide safe amalgam removal. We will work closely with your own healthcare practitioner to restore whole-body health. We use the most advanced amalgam removal protocols in accordance with IAOMT guidelines. We take the time to listen and educate. At our office, you will be treated with the utmost respect. Uses Low Dose Digital X-Rays? Our digital radiography system reduces exposure to x-rays by up to 90%! Offers Laser & Drill-Less Dentistry? We are pioneers in laser & “drill-less” air abrasion dentistry and have been offering it for years. We are strong advocates for minimally invasive and non-surgical gum treatments. Talking with my “natural minded sister” and chiropractic friend, each had encouraged me to set up the dental consultation with Integrative Dental Solutions. Both doctors were highly recommended and I chose Dr. Shetty. I am thankful and so glad I did. The office, staff, and environment were welcoming, helpful, and professional, which made the first visit really comfortable. They listened to me and my questions, and Dr. Shetty put a treatment plan in place. I have had the first appointment involving restorations, and am very pleased with the care, comfort, and results. I love the more natural approach and feel I have received more than needed dental care, but am looking forward to having my oral health improve. Though it is a financial commitment, it is worth it knowing you are getting excellent care and working together to achieve oral health, which does affect the whole body. I have already recommended them to others. Thanks Dr. Shetty. I look forward to seeing my dentist. How many people can say that? And if you can’t, you should try Integrative Dental Solutions. Dr. Shetty really listens to my needs so she can provide the best treatment for me. They use up to date equipment, follow environmental & safety precautions, provide warm neck pillows & music of my choice and are constantly concerned for my comfort. Everyone is super friendly and helpful – even doing “handstands” with the schedule to accommodate my long distance travel and also take care of my husband’s dental needs at the same time. I had not seen a dentist for many years because of awful experiences, but my IDS experience, which included extensive dental work, has been very, very positive. These professionals are not only solidly committed to your health, they are also committed to a very satisfying experience. Not only did they answer every one of my questions and addressed every concern prior to my procedure, they also tried their best to be creative in scheduling my appointments to lessen the impact of the hour+ drive. I also had some questions after my procedure which Dr. Shetty and Heather graciously and patiently answered. I am TRULY impressed!! Thank you SO much!! All the staff at Integrative Dental Solutions have been friendly and welcoming at each and every one of my appointments, and the care has been superb. Before coming to IDS, I was told by two separate dentists that I would need a root canal. But it’s been a year and a half and my tooth is still healthy and pain free after receiving ozone treatment and a ceramic filling. IDS listens to me and answers all my questions. I feel very comfortable and confident they are doing their best for me. Dr. Shetty and her team are awesome! Keep up the solid work. LOVE the practice and their way of doing “integrative dental ” care. Always the best care…and least invasive and most comprehensive. Always in good hands…they are informative and so current on THE Most innovative new techniques and preventive methods. My initial exam and both of the cleanings I’ve had at your office have been exceptional, and Amanda my hygienist has been awesome! Thank you to all of the staff there, for making each visit a positive experience! Being in the dental field myself, I expect a lot from an office, and Integrative Dental Solutions has exceeded ALL my expectations! I LOVE GOING TO THE DENTIST! Integrative Dental Solutions is the very best! They blend nicely with my values and beliefs about natural health, and provide a professional, friendly, knowledgeable, and fun environment for dental care. Jessica is absolutely AWESOME! Dr. Shetty is FABULOUS! Together, the entire team from the front desk girls to the dentists, are an amazing group of professionals. Definitely worth the drive from Oshkosh for me! LOVE MY TEETH!